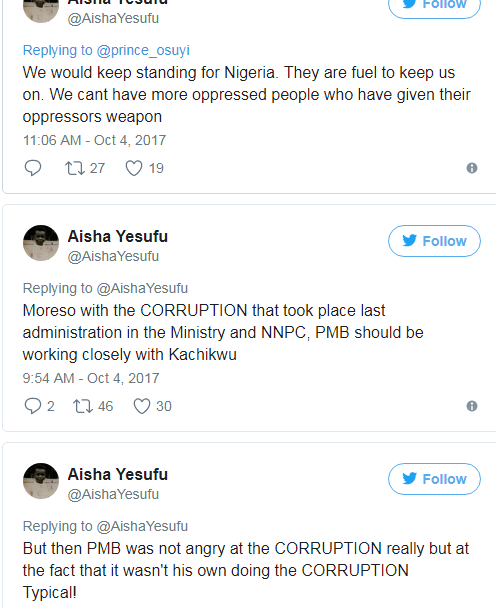 Bring Back Our Girls convener, Aisha Yesufu shared another angle to the recently leaked memo sent by Ibe Kachikwu, the Minister of State, Petroleum Resources to President Buhari. 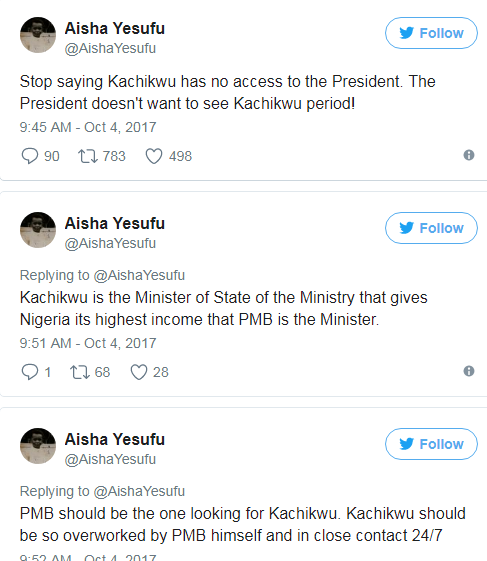 According to her, 'stop saying Kachikwu has no access to the President. The President doesn't want to see Kachikwu period'.